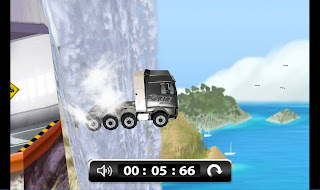 Back in January, I featured a nice advergame by "Muskedunder Interactive" for the Volvo FH16 700 Truck, which they claim is the "World's Strongest Truck". I have since received a lovely email from the guys at Muskedunder, highlighting the success that they have had with the original game. The combined play time for the game adds up to over 20 years! 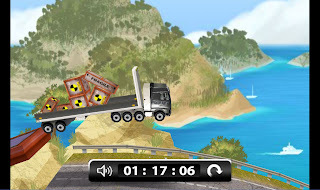 The feedback they received has led to the creation of the new version of the game (see below). The new version is longer, with far more obstacles and challenges. It is certainly a more difficult game, but keeping the simple left and right format as the original. They have kindly supplied me with a few screenshots to use as well.